Usually I’m pretty slack at having my camera with me unless it’s for work, but once in a while an opportunity comes along that I feel compelled to capture. This was one of them. 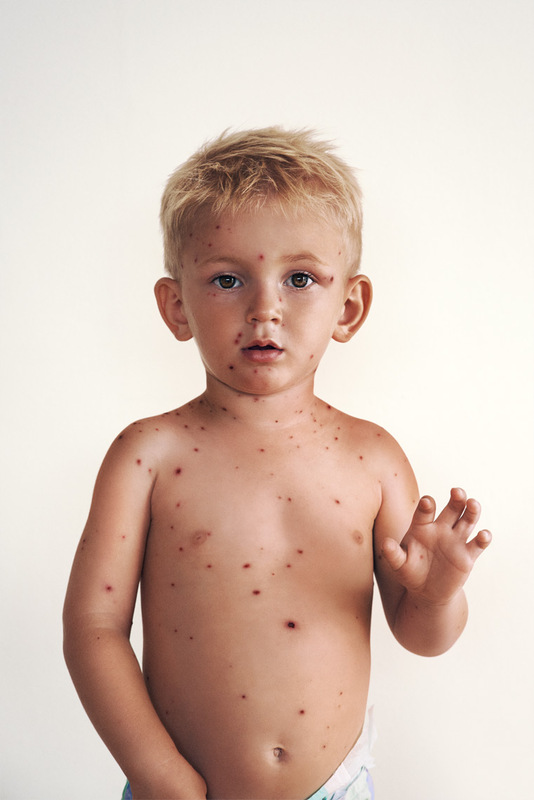 About three years ago now, I got a call from my wife saying that the kids all had chicken pox (varicella). Obviously not great news, especially since it was the school holidays, I really felt for them. But at the same time, I was fascinated. Part of it was the rarity - I knew they would experience this just once in their lives, so I would only get this one chance to capture it. And then there was the intensity. 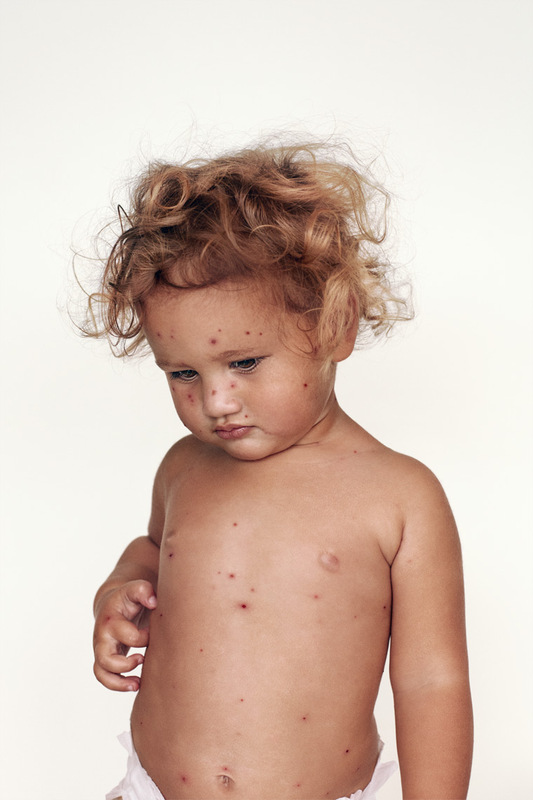 Even though you know everyone gets chicken pox at some point and that it’s only temporary, the effects are profound. What captivated me the most was that each of them reacted so differently, even though they all had the same physical symptoms. Obviously given their discomfort, there was no room for me to plan or provide direction, and I wouldn’t have felt good about that anyway - I didn’t want it to seem like I was capitalising on their pain for the sake of a photo. I just shot them as they were - no guidance, natural light, standing against the wall at home. Incidentally, both our neighbour’s and friend’s kids also had it at the time, so I decided to continue the series. It was definitely a different experience from photographing my own children, but I kept the process the same. No influence, no direction, no planning, just got them in front of a wall at their house and shot a few frames under natural light. Because I tried to work quickly, didn’t do any planning and just shot things as they were where they were, I didn’t really know how the end result would turn out. But actually, it was this simplicity that helped to capture both the kids’ emotions and the intensity of the moment in their rawest forms, which is what had fascinated me in the first place. I guess the main thing I learnt from this little project is to take opportunities wherever they arise, and to make the most of what you have to work with. It reminded me that you don’t necessarily need an elaborate set-up or a really out-there subject to create something meaningful and impactful. 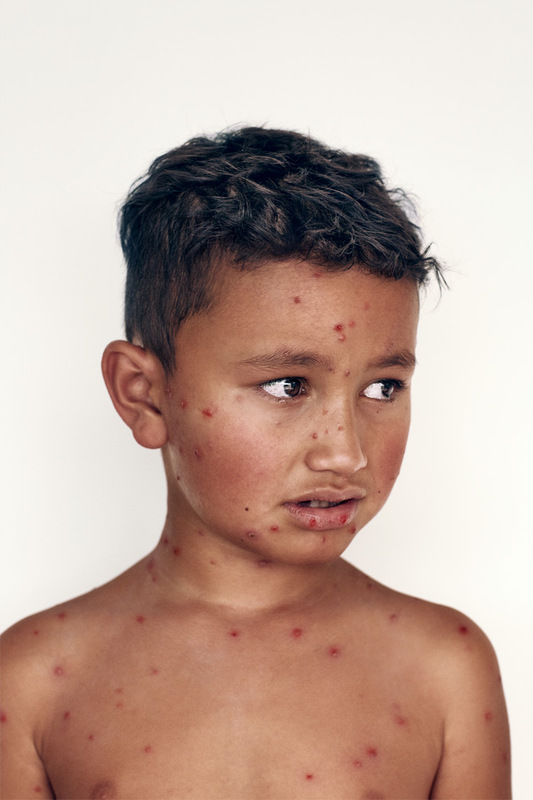 This was a simple case of the chicken pox, something that happens to pretty much everyone, yet turned out to be quite a compelling series. Proof that there’s something interesting to be found (and captured) in even the most seemingly ordinary of things.